Just a few Rwanda team updates: yesterday was a full throttle day starting with a wonderful dedication of our two homes in Cygera, medical outreach, and His Kids Sports event. 100 folks treated....many children and 30-40 children accepted Christ. The team improvised HKS without props and kept 90 kids totally engaged. We even had 7 CECA pastors doing the trust fall! The team is energized, in good health, and rockin! God is showing himself in the work, the C2C partnership, and each individual team member. We feel your prayers and love you all! Every time I correspond with my Rwandan friend and brother, Bishop Enoch Dusingizimana, I am reminded of his signature slogan for Rwanda. “Welcome to Rwanda….the land of 10,000 hills and millions of smiles.” Rwanda has not always been a place of millions of smiles. Just 15 years ago Rwanda endured one of the world’s worst genocide occurrences in history. Over a period of 100 days more than 900,000 Rwandans were slain in the name of ethnic cleansing. The horror of those 100 days is vividly on display in numerous genocide memorial sites dotted around the country including the National Genocide Memorial in the capital city, Kigali. It is a story that many of you are familiar with as a result of the Hollywood movie, “Hotel Rwanda”. I have seen the movie and in my opinion it falls far short in depicting how demonic and horrific those 100 days were in 1994. There has been great healing in Rwanda since 1994 and hope has returned but the scars remain. “We will never forget” is also a signature Rwandan slogan. In a few days I will be leaving for my third trip to Rwanda and I am looking forward to seeing Enoch’s smiling face. Enoch survived the genocide as a young pastor. His personal story includes a number of near death experiences and always ends with his big smile saying “God was not finished with me”. Since 1994 Enoch has planted over 150 churches in his country and he sheperds a continually increasing number of pastors and church members. Enoch has a heart for orphans and has personally raised 4 adopted children. 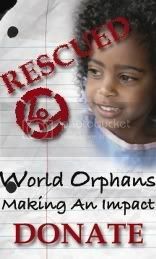 World Orphans has partnered with one of his churches in southern Rwanda in the town of Cyegera. Two homes have been built adjacent to the church to provide housing and care for 20 orphans……10 boys and 10 girls. The children will be moving into their new homes later this week. The team of 10 that I will be leading on this trip are all leaders and supporters of HOPE 2.2.1 (http://www.hope221.org/ ) from the Tri-Cities area of Tennessee…..another place of many hills and many smiles…J! HOPE 2.2.1 is a group of individuals from a community of churches in the Tri-Cities area that are committed as a church to church partner for this World Orphans Rwandan project. They provide monthly sustainability support for the operation of the home which covers the cost of food, clothing, school uniforms, tuition, and medical provision for the children. While in country, the team will be participating in the opening ceremony and dedication for the Cyegera Homes, doing a medical out reach for the community surrounding the church, and presenting the gospel to hundreds of children as we do sports outreach in local and surrounding communities. The team is excited to worship, praise, and build deep relationships with our Rwandan brothers and sisters. Please pray for this team and their families as they seek to bring honor and glory to God as they respond in obedience to care for the orphan and the widow. The team departs July 20th and will return July 31st.